Motor efficiency is usually higher for 3 phase sine fed but electronics efficiency is usually lower despite the fact that the motor RMS current is slightly lower. In my experience this is not a straightforward call and depends on many things such as DC bus voltage, power and also electrical frequency. In one notable system we did for F1 KERS, weight was the critical factor and that steered us towards 6 step as it lowered electronics losses that were harder to get rid of than the motor losses. 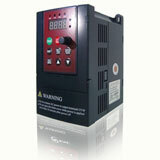 It is also important to design inverter and motor as a system to reach the optimal solution. 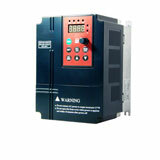 Motor like sine voltage/current, but inverter will prefer lower switching frequency. We tested on some small BL motor (<500W). For most load range, the overall system efficiency between these two control methods is similar. The 6 step control is heavily related to the advanced angle, if there is an easy way to adjust the advanced angle dynamically like the DQ control, 6 step would probably provide an ever higher system efficiency. 2. Can be used easily for high speed motors where any modulation technique cannot be used. Just be careful about the harmonic current at the output of inverter, that is too dangerous as I2R losses increase as a function of harmonic current.